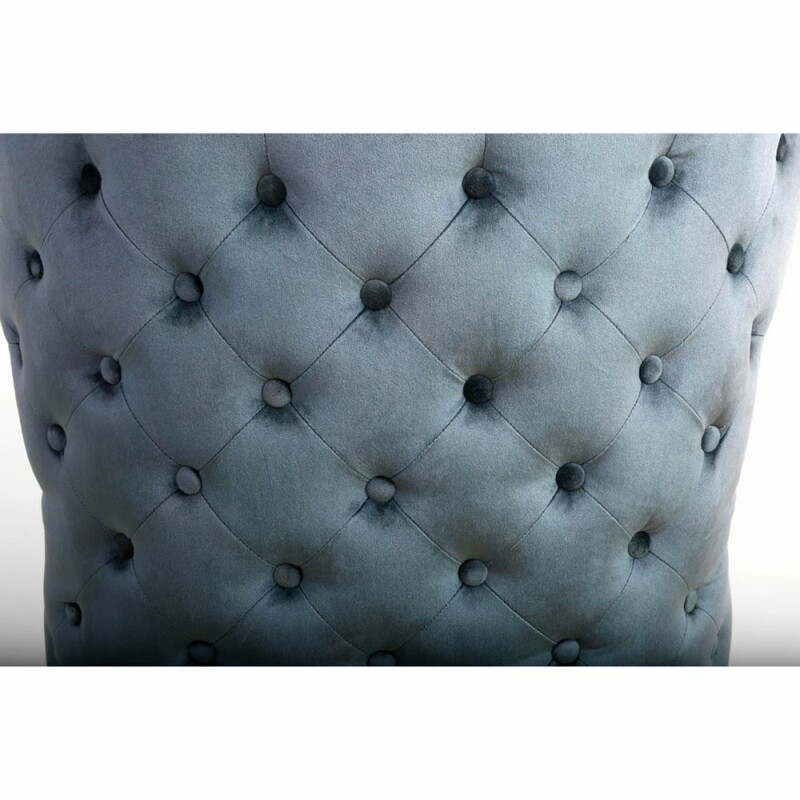 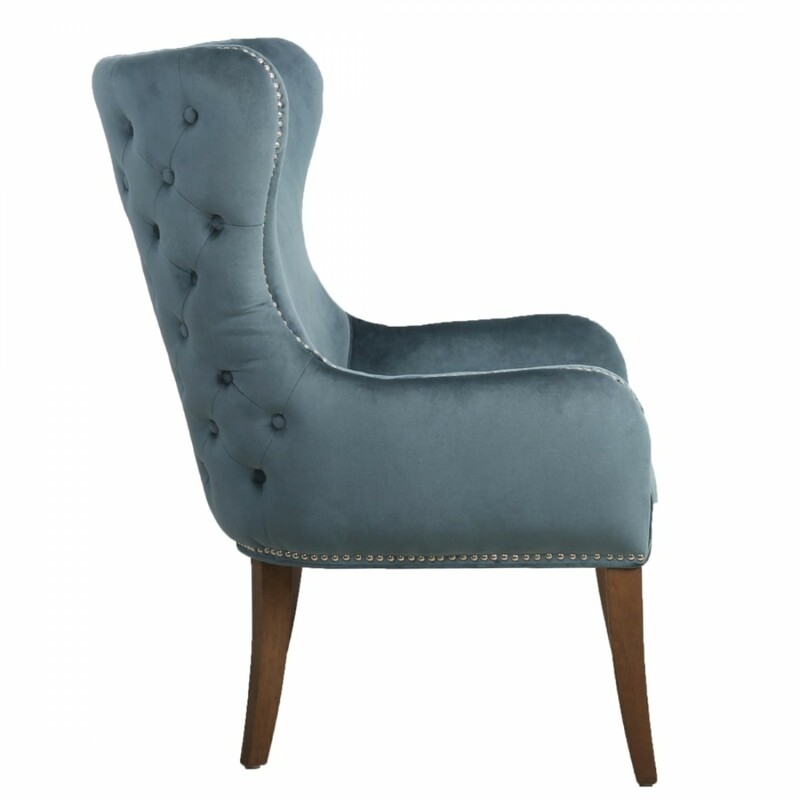 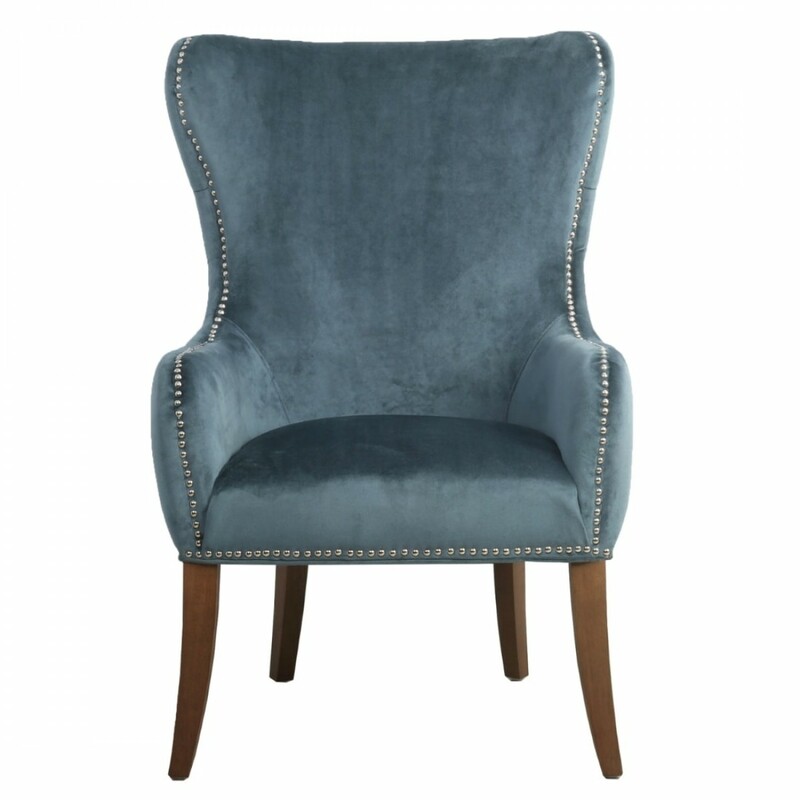 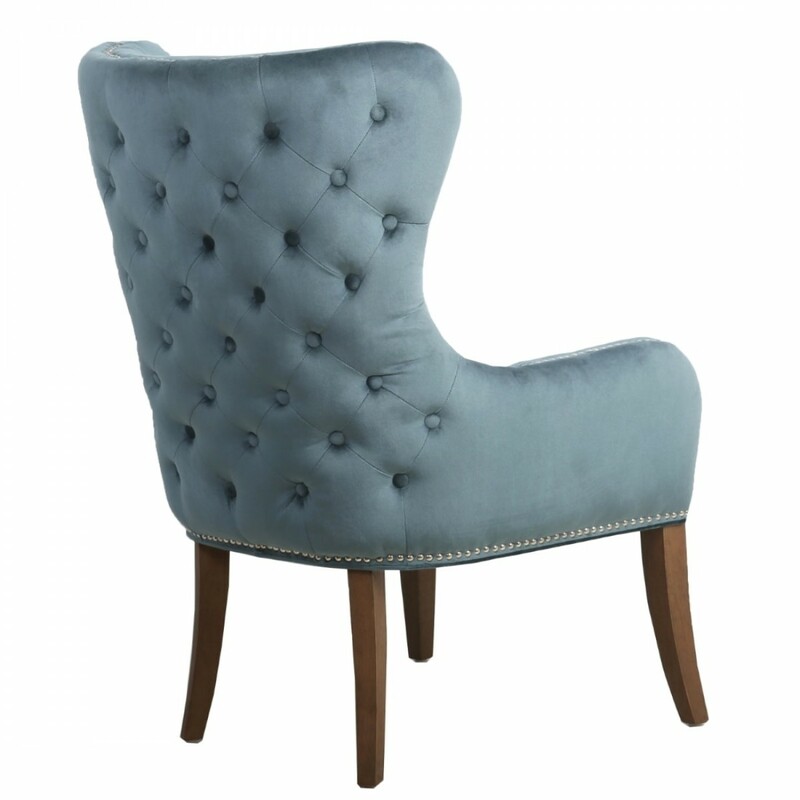 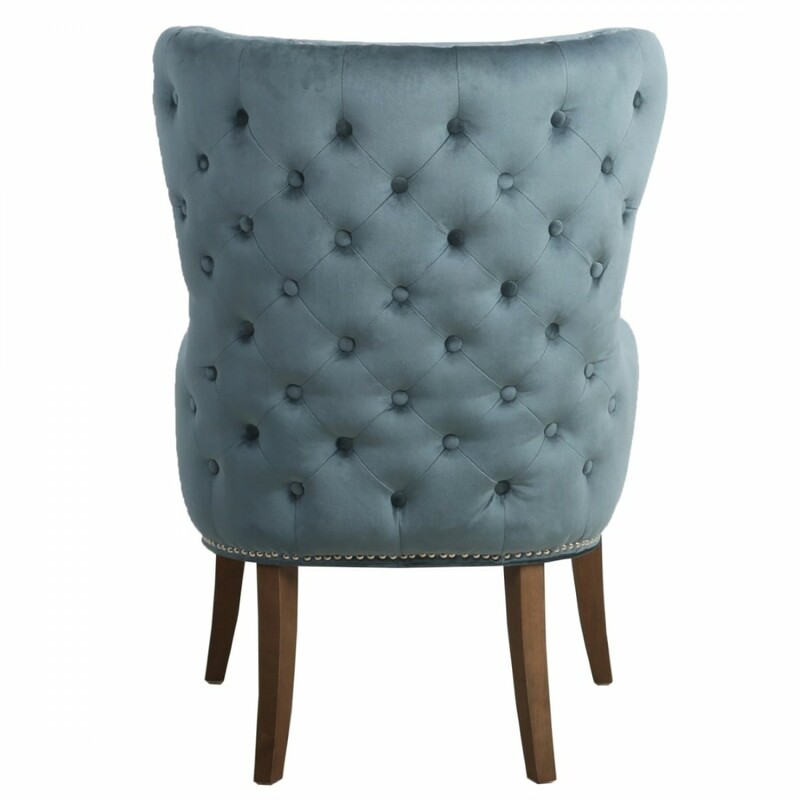 The Mercer Chair is covered in a soft and luxurious Colonial Blue Silken Effect fabric. 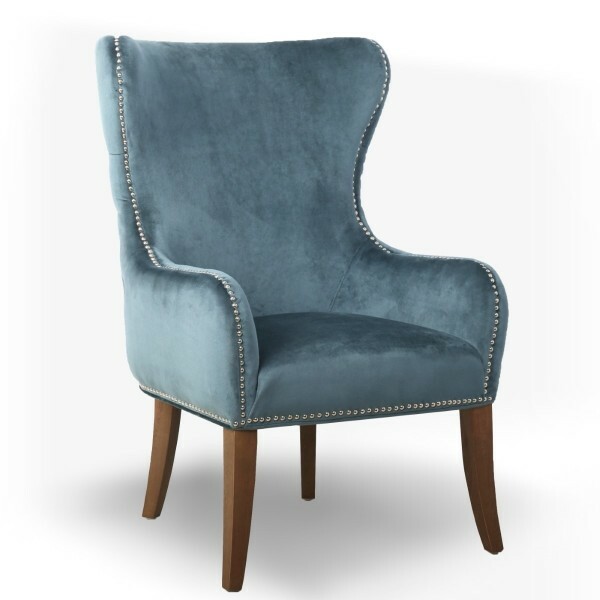 Not only does it add a touch of glamour to any setting but also creates a unique dining experience at the head of a table. Designed with low arms and a shapely high back, the buttoned winged back chair is finished with studded detail all-around to add a touch of delicate charm.